Charles H. Kaman one of the pillars of the U.S. helicopter industry. He began Kaman Aircraft Corporation in 1945 to cash in on the popular enthusiasm for helicopters that was then sweeping the United States as a suggestion of postwar prosperity. The hope for halcyon days never did appear for the fledgling American helicopter industry, but Kaman’s company was one of the few survivors of this era to make it to the present day, and his preferred intermeshing rotor configuration and servo flap control systems are still in use. 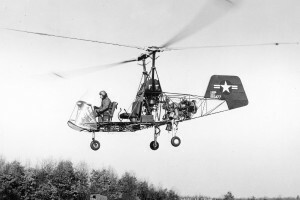 Though always a niche manufacturer, Charles Kaman supervised the development of many innovative rotorcraft technologies. 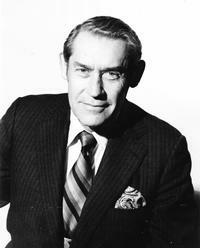 Kaman led the company Kaman Aircraft Corporation as CEO for 55 years. After receiving an aeronautical engineering degree at Catholic University in 1940 under the famed aerodynamicist Max Munk, Kaman went to work for Hamilton Standard, a sister company of Vought-Sikorsky, near where Igor Sikorsky was flying the first practical American helicopter. Kaman was enthralled by the new technology but developed what he thought was a much simpler approach to controlling the helicopter. 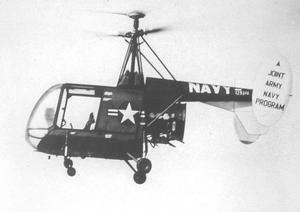 Kaman’s idea was to use “servo flaps” (similar to an aileron on an airplane), instead of Sikorsky’s swashplate system that would become the standard for most helicopters. His superiors did not appreciate his advice on Sikorsky’s work, and by 1945 Kaman had decided to strike out on his own and build his own servo-flap controlled helicopter. He thought the tail rotor was an inefficient waste of power. He saw that two side-by-side rotors angled outward that “intermeshed” (like an eggbeater), but without hitting each other, could provide lift and stability with better efficiency. Contrary to some claims, there is no evidence that Kaman borrowed this idea from Anton Flettner, whose own intermeshing helicopters, then known as “synchropters” must number amongst the first “practical” helicopters in the world. Read more on Charles H. Kaman in the December 2012 AHS Calendar.